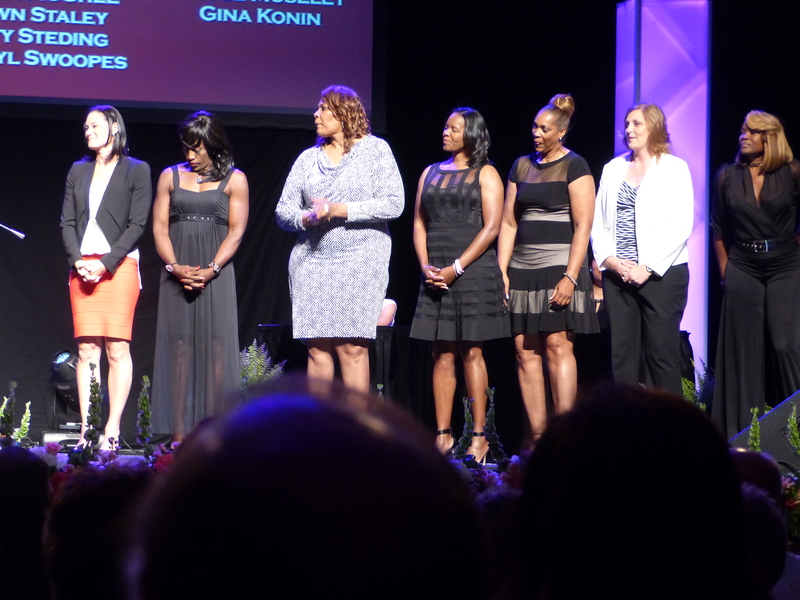 Members of the 1996 U.S. Olympic team who were honored as Trailblazers of the Game. 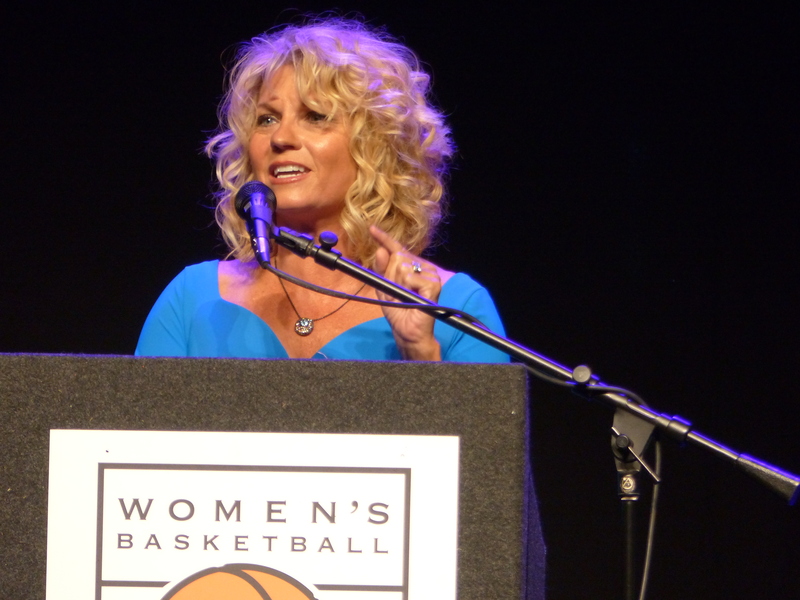 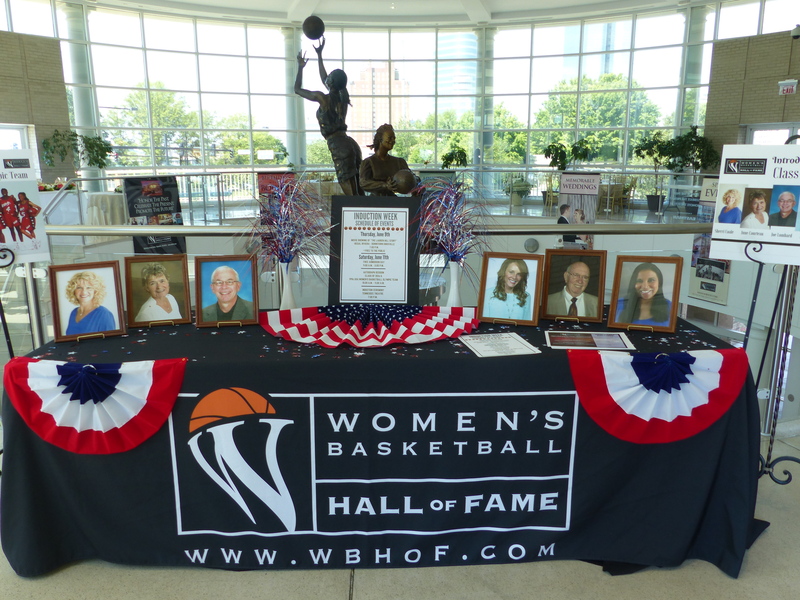 Sherri Coale, Oklahoma coach, gave a wonderful induction speech that thanked an incredible number of people! 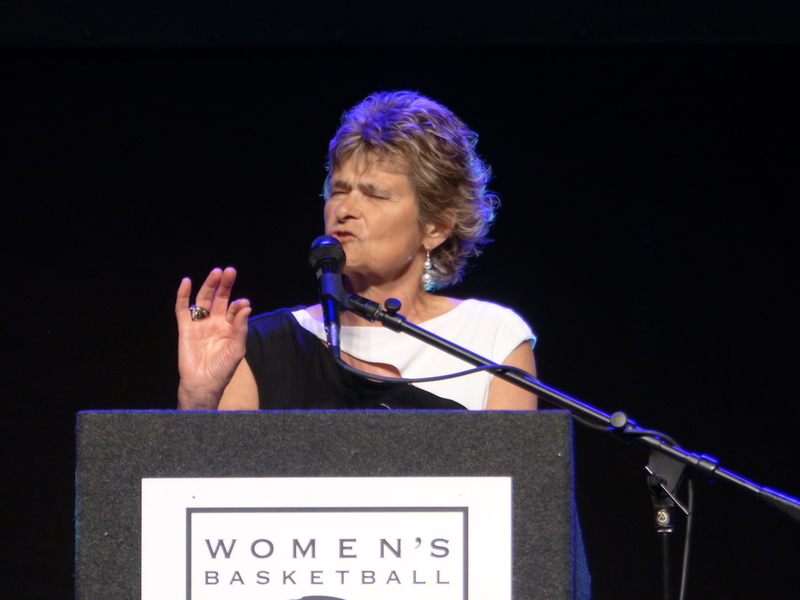 Basketball official June Courteau also thanked bunches of people, including her 92-year-old aunt, Auntie Zero! 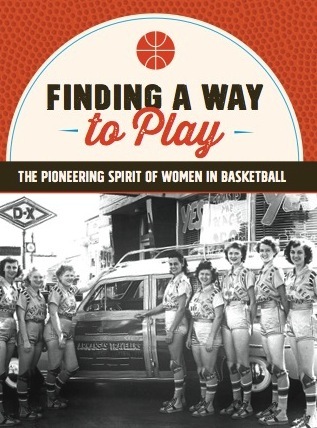 ← In its 20th season, is the WNBA where it should be?